I was going to take the week before Christmas off from baking so I could get those last gifts bought and wrapped, watch some holiday movies and prepare for the upcoming days of merriment with our families. Well, I kinda dished out a whole lot of cookies last minute to those so deserving-like the entire elementary school staff and several charitable causes-and it turns out I don’t have many left for my own gatherings. And Santa. 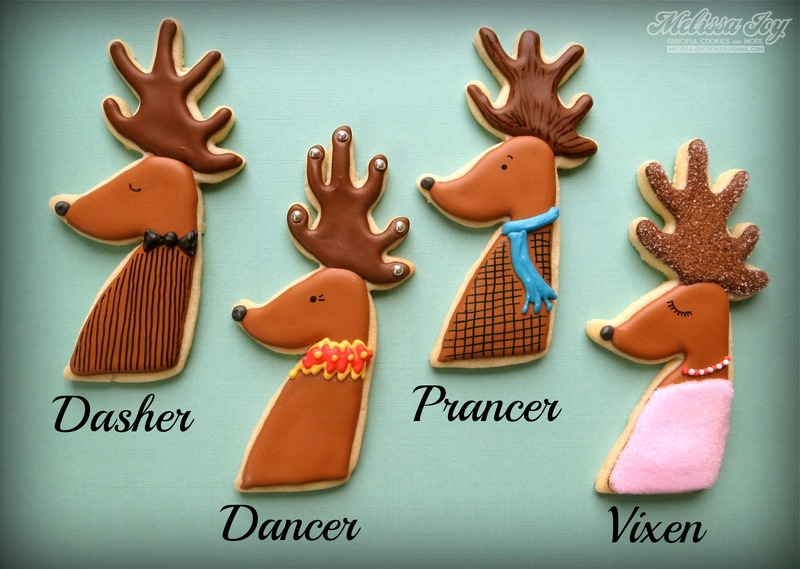 We NEED cookies for Santa! These cookies I created for my husband’s coworkers and Organic Valley. 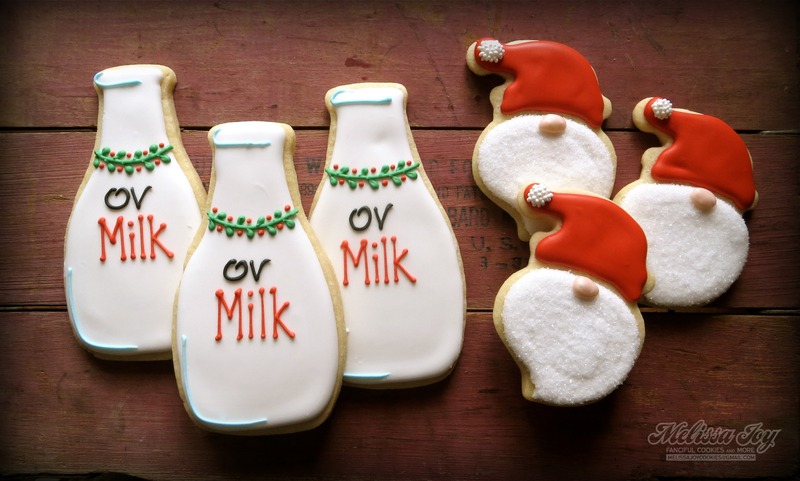 Every year I try to come up with a dairy or farm theme for them, and this year was the good old fashioned milk bottle. I also added in a smaller version of my Santa gnomes that I did in a post here. With this guy there was no cutting and pasting of dough shapes and that made things much more efficient. The closer it gets to Christmas day, the easier, the better! How much do I love this cookie cutter?! I couldn’t wait until next season to make these famous reindeer, so I threw this design into the mix at the last minute and sort of created them as I went along. They will be fun for my family! I’d also like to share an incredible cookie project I was a part of this month. 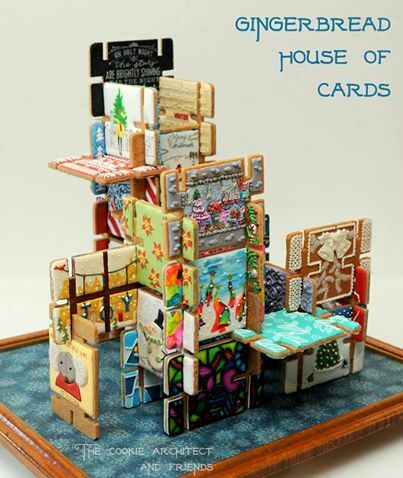 My friend Rebecca of The Cookie Architect had the fantastic notion to create a gingerbread house of cards. She sent “cards” to a bunch of Cookiers, each to make a holiday or winter design on, and then ship them back to her so she could assemble one gigantic masterpiece. Mr. Mouse was my contribution, but the final product was THIS! Everyone’s contributions are so amazing! I highly recommend you see how it all came together on her Facebook page here or on a post about it here. I really thought I was holiday cookied out, but after a few days “off” I am actually looking forward to frosting the 10 dozen or so I baked today. What can I say? I’m a girl possessed by flour, butter and sugar. And really, I know that the smiles that come along with sharing them makes the extra effort totally worth it. 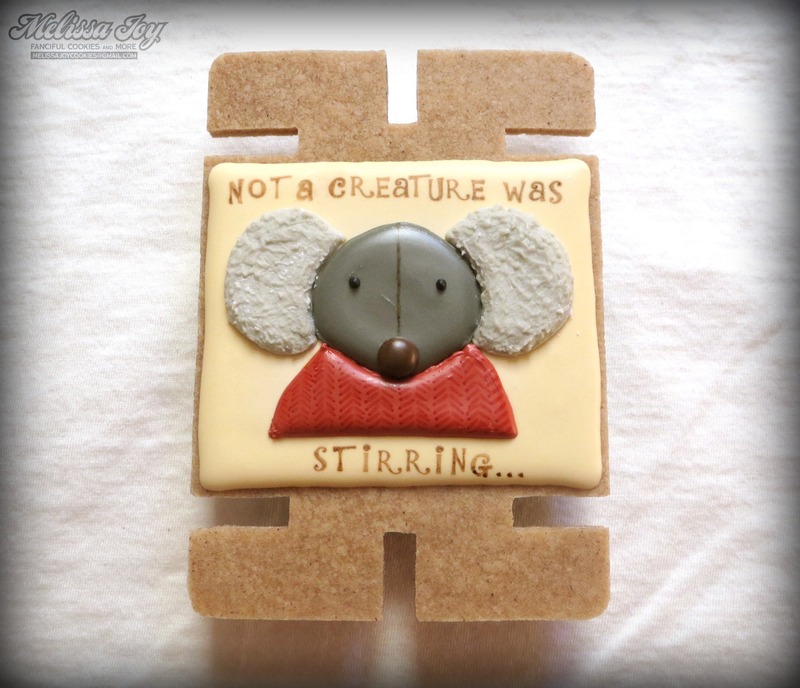 This entry was posted in Christmas Cookies, Holiday Cookies and tagged Christmas, dasher dancer prancer vixen, gnomes, milk and cookies, reindeer cookies, santa cookies. Bookmark the permalink. The house of ‘cards’ has a lot of WOW factor! 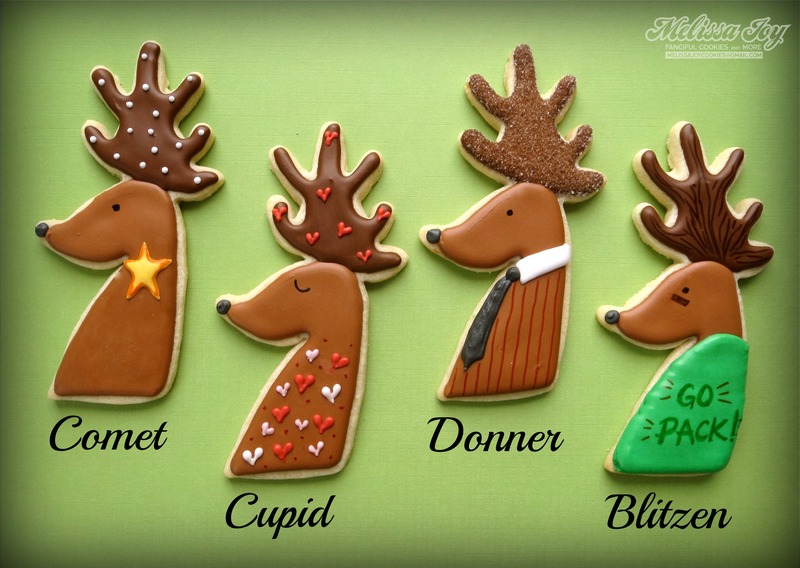 I just scrolled down through all of your Christmas related cookies, and am so amazed at the volume! Each one is perfectly executed to boot! WOW!